It’s important to ensure your tyres are pumped up to the correct levels. You should be able to find the manufacturer’s recommended pressures either where your driver’s door shuts, or in the fuel filler door. There will be a couple of different figures – one for when only one or two people are in the car, and one for when it is fully laden with passengers and luggage. The condition of your tyres is important too. If there are lumps, bumps or cuts in the rubber, you will need to get the tyre checked as soon as possible because a damaged tyre may cause a blowout or an accident. Remove any objects stuck in the tread grooves if possible. If you regularly tow a caravan or trailer, or ride a motorcycle, make sure those tyres are up to standard as well. Should I Buy Part-Worn Tyres? Part-worn tyres may be appealing because of the lower cost, but it is always best to get brand-new rubber if you can afford it. While most are sold with plenty of tread left on them, you could be buying a risky product that could endanger you and cost you more in the long run. 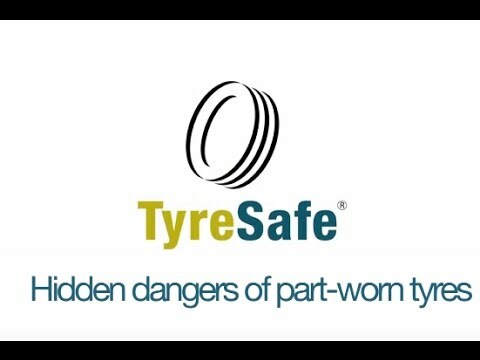 Part-worn tyres don’t have to be checked for internal damage before being sold so, even if the tyres look fine, they could be hiding damage, wear or defects. To make buying tyres clearer, they are labelled in the same way that appliances and cars are. Their fuel efficiency and wet-weather performance are shown on a scale from A to G, and the noise level is shown underneath in decibels. Please share this article using the icons at the top of the page. If you’d like more information about car tyres or any aspect of car buying, tweet us @Hartwell_co_uk and we’ll get back to you!